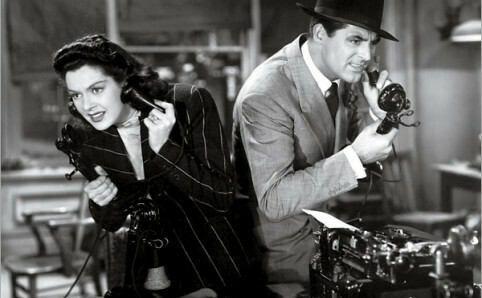 Hildy Johnson: [speaking to Walter on the phone] Did you hear that? That’s the story I just wrote. Yes, yes, I know we had a bargain. I just said I’d write it, I didn’t say I wouldn’t tear it up! It’s all in little pieces now, Walter, and I hope to do the same for you some day! Hildy Johnson: [to the other reporters] And that, my friends, is my farewell to the newspaper game. On Thursday the local paper here published two articles the editors could never connect in a million years, even if it had occurred to them to do so. Think trying to stick together two powerful magnets of the same polarity. The first—big headline on the front page, “FLU OUTBREAK RIVALS DEADLY 2009 PANDEMIC”—described a record 123 Minnesota children testing positive for flu at Children’s Hospitals and Clinics, higher than the highest week during the 2009 outbreak. I gave the following presentation Friday night at Give & Take, an interactive show and tell happy hour held monthly at Intermedia Arts in Minneapolis. Both informative and a lot of fun. Even our ancestors, without a smartphone among them, played like kids on the harvest moon. But fair warning: history has shown the most innocuous festival can turn rebellious when its partisans’ longstanding grievances have been ill-addressed in the workaday. 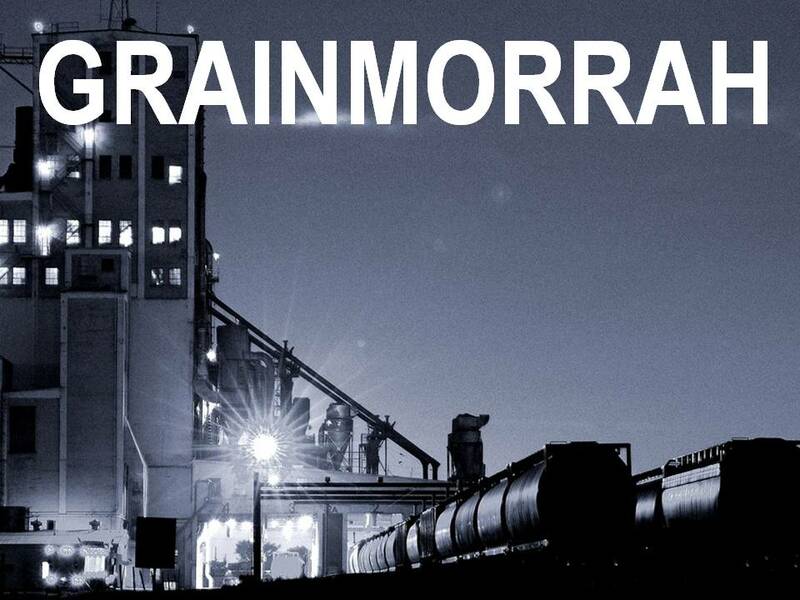 We’re going to play a game called Grainmorrah. Unlike tic-tac-toe we can’t just jump right in as we don’t already know the game’s premise. So we’re going to run through a few slides for a little background. 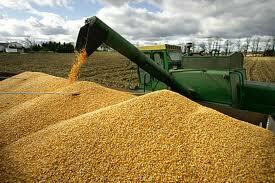 Dumping grain on another country is a classic maneuver in economic warfare. When a country’s borders are opened by force or by choice, by structural adjustment or by neoliberal trade agreement, when tariffs and other forms of protectionism are finally scotched, heavily subsidized multinational agribusiness can flood the new market with commodities at prices less than their production costs. That is, these companies are happy to sell their food stuffs abroad at a loss. That doesn’t make sense, you say. Aren’t these guys in business for profit? They are indeed. The deficits are in actuality a cold-blooded calculation. What better way to medicate against a holiday’s genocidal origins and the hunger now swelling worldwide in the wake of a banker-brought recession than with a bellyful of turkey, stuffing, yams, and pumpkin pie? Despite its dark ambiguities, Thanksgiving remains my favorite American holiday. Take a breath, eat well, love your family, make time for friends, and, a few drinks later, curse God, badmouth your boss, and regroup for the descent into winter. Here in Minneapolis, dusk is approaching its solstice nadir. Five in the afternoon and pitch black. Thanksgiving obviously reminds us too of the pathogens the livestock breeding that produces the birds most of us will be chowing on also offers. If the bone breaks your way, you might with sardonic irony wish for a way out of this and subsequent pandemics. It isn’t, of course, merely a matter of a little luck (although that would help). There are due causes for the bad things that happen, often specifically related to the decisions people in power and in the money make. I believe we can think through these fixes and with enough courage to act in the face of threats to life and fortune change the world’s course. There are times when perniciously false premises are treated as the criteria by which truth is determined. We lose the argument before it’s begun. And where does that leave us in our efforts to control mortal dangers of our own making? An article of faith among veterinarians and epidemiologists is that large industrial farms are both biosecure and biocontained: livestock pathogens such as highly pathogenic influenza can’t check in, and if they do, they can’t check out. The premise is so engrained that international health agencies have codified levels of biosecurity by the size of farming sectors alone. The operational standard is the bigger the farm, the better its protection. 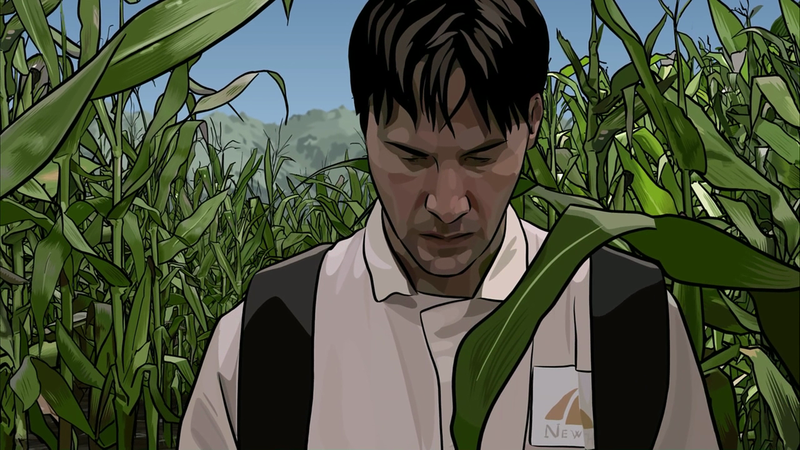 A paper published last year cuts against the grain. Graham et al.’s review shows industrial farming can promote the spread of pathogens to other farms, to the outside environment, and to farm workers. All three modes can expose surrounding communities to daily doses of the latest and greatest in xenospecific bugs, some of which, as this spring’s swine flu pandemic attests, may take root as widespread human outbreaks.